Roblox: it’s the place to be. The place to play games, build games and share games with your favourite people. If you’re not part of it, you’re missing out. Fail! 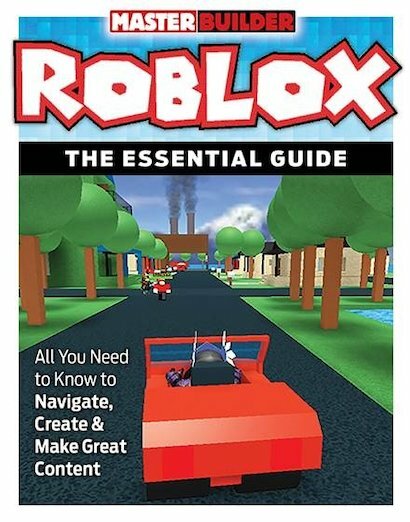 Luckily, this handbook is your whistle-stop tour of the incredible world of Roblox and all the stuff you can do in it. There’s an intro to what Roblox is, and how to get started. There’s a fabulous tour of the coolest and hottest games in there. Plus of course, a quick-start guide to building games yourself: the thing at the heart of it all. Amazing book! Now after 13 years i can finally play Roblox the correct way! I have read this back and through 26 times! It is the only book that I read in my free time. Thank you so much for creating this lit-erary piece!